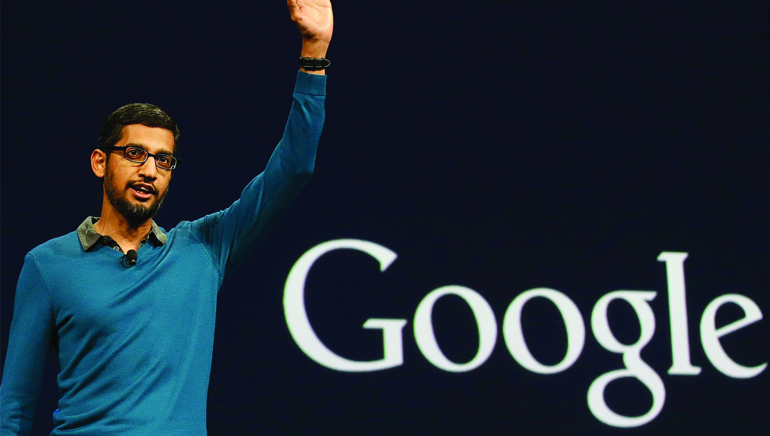 Pichai Sundararajan is the new Chief Executive Officer of Google Inc., succeeding Larry Page. Google has already announced that it will be restructured and be renamed Alphabet, after the new parent company. Sundar Pichai would thus be the CEO of Alphabet. Born in 1972 in Chennai, India, and an alumnus of IIT Kharagpur, Sundar earned his MS from Stanford and MBA from Wharton, and then joined Applied Materials and McKinsey & Company before moving on to Google in 2004. He is renowned as the man who made Google Chrome browser and Chrome OS popular worldwide. Earlier, he made strides up the Google hierarchy by making the Google search toolbar in the upper right corner of Web browsers successful, making Google more favoured than Microsoft’s Internet Explorer. Before becoming the CEO, he worked as Senior VP with responsibilities of Gmail and Google Docs.